The TGI TGIPB1 Power Box Micro Power Supply is a multiple isolated power supply ideal for powering guitar effects pedals. The TGI TGIPB1 Power Box has to be one of the best value and most flexible power supplies we have ever come across. Pop in to our Glasgow shop to pick one up or order online for fast delivery across the UK and Ireland. 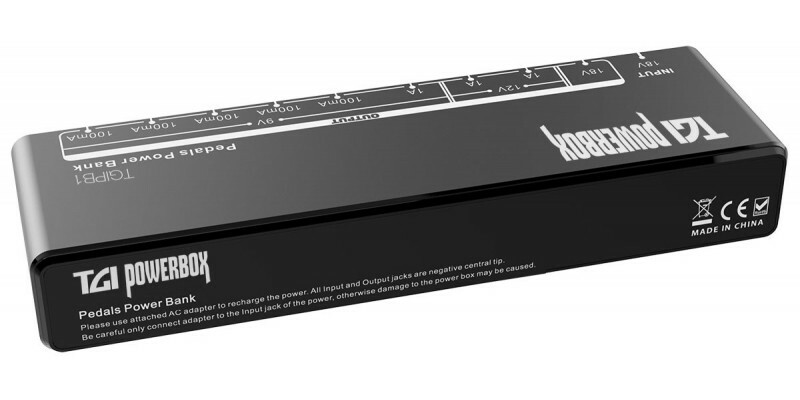 The TGI TGIPB1 Power Box features 10 isolated DC outputs. Isolated outputs minimise unwanted noise and hum which can become a problem the more you start to link up guitar effects. 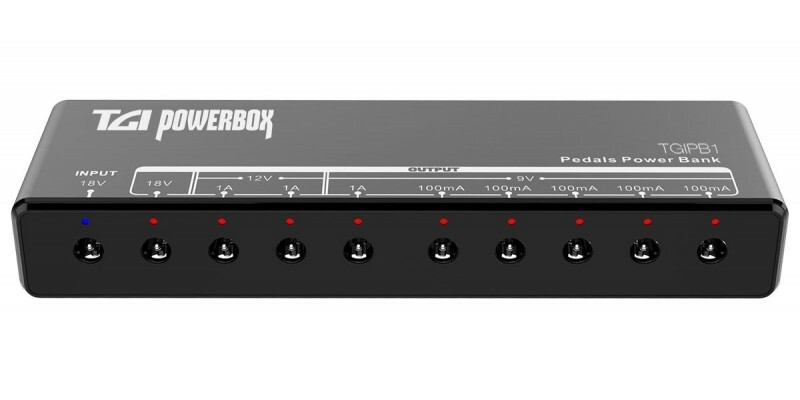 TGI TGIPB1 PowerBox offers 8 x 9V outputs which will power the vast majority of effect pedals. There is also a useful 12V output and 18V output for pedals that require a little more juice. The TGI PB1 also has short circuit and overload protection to keep your pedals safe. The TGIPB1 is very compact at just over 10cm by 4cm meaning it will sit neatly within your pedalboard setup. It includes 10 connector cables for each of the power outputs and a mains power supply to connect to the mains outlet. There is a main red power LED which lights up to show when power is connected. Each power out has a bright blue LED. These can be switched on or off via a switch on the side of the unit. The blue LED lights are also an indicator in the event of a short circuit or overload. The whole circuit will continue to work if any single channel is over loaded or shorted. 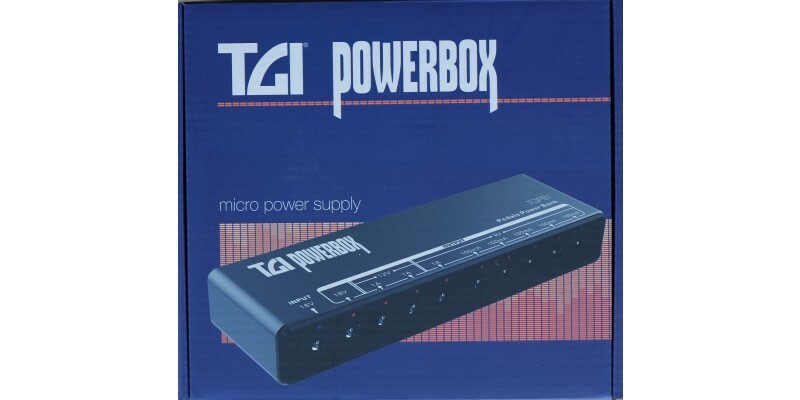 The TGI TGIPB1 Power Box Micro Power Supply offers more than some power supplies costing several times as much. 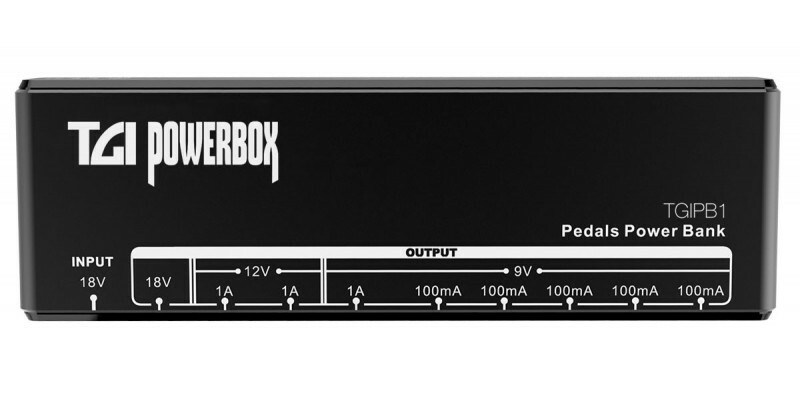 This is a great quality, amazing value multi power supply and would make the perfect edition to any pedalboard.